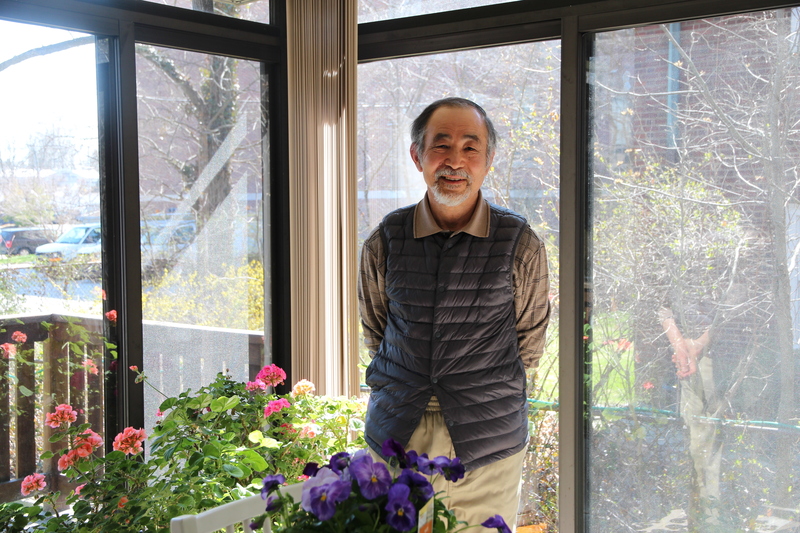 Kazuhiko Adachi is a retired research professor of pediatrics at University of Pennsylvania, and currently a research faculty of the Division of Hematology, Children’s Hospital of Philadelphia. In April of 1973, my boss—Dr. Asakura, professor at Penn Medical School—got a large grant to study sickle cell disease (SCD). Kennedy sent people to the moon; Nixon wanted to find a cure for cancer and other diseases. My boss wanted me to come to the University of Pennsylvania as a post doctoral fellow to study blood diseases since I was an assistant professor in Japan and studied blood of humans and animals. I accepted his invitation. On my way here, when I arrived in Los Angeles, I couldn’t find my way around the airport for my connecting flight to Philadelphia. I realized American people could not understand my English, even though I had learned English for a long time. I finally found Japan Airlines so somebody could help me in Japanese. When I got to Philadelphia, my boss picked me up. I thought it would be more beautiful, but West Philly was very dirty. I had a small room at International House. I realized my English conversation and accent were poor. In fact, I asked for a map and I got a mop. There were many Japanese researchers at Penn as well as at International House, and no need to speak English to study there, so I didn’t have much chance to speak and learn English. These were disappointments when I came here. After the first year my boss asked me to stay on to continue the SCD research project. I was promoted to an assistant professor at Penn Medical School. I accepted this offer since I could make a contribution to understand sickle cell disease and couldn’t continue these studies in Japan. I exchanged my temporary visa for an immigrant visa. I needed to have permanent residency to be able to apply for research grants on my own. After that, I quit my job in Japan and decided to stay. There was more focus on studying blood diseases here, and it was easier to get grants then. I got my own grants and continued this study for more than 40 years at Penn and Children’s Hospital of Philadelphia (CHOP). I contributed to the understanding of sickle cell disease and wrote many papers for this. Now I am retired from Penn even though I am continuing the research for cure as a research faculty at CHOP. There is no longer much funding for sickle cell research. It may be political, where the research money is directed. There is more funding now for cancer, brain disease, and AIDS research. These diseases are now considered treatable. There is no cure yet for SCD, and much less money for SCD and the basic science of studying hematology—even though the understanding of SCD was advanced and a few drugs were found. Most young researchers, doctors, and students who came here from Japan after the Second World War came for a short time to study or work and then went back to Japan. I have permanent residency but I did not become an American citizen. I wanted to stay a Japanese citizen since Japan does not allow dual citizenship. I may still go back. When I left my parents I thought it was for two years only. I had just gotten my PhD in Japan and my parents were pleased for me to go the States at first, but then when I decided to stay, my mother asked me to come back. Now she has given up, even though we have a custom that the eldest son is expected to take care of their parents. I am already 73 and still doing research at CHOP, and still feel like I can contribute to the cure of SCD. I am doing lectures and seminars at universities in both countries. But as I get older, if I need help, it might be better to go back and live in Japan even though we have good friends here. In Japan, there are more benefits for older people, health insurance and long-term care. My mother is ninety-five and living by herself in Japan. My sister is married and helps her. I go home twice a year to check on my mother, and financially I help out. I still have a house there that my mother lives in. I have more relatives, my sister and her children and friends from school there, even though I have lived here for 40 years. Here I have younger friends I have not known as long. Cultural differences do affect how one connects as a human being. The cultures of the two countries are quite different. I am not completely American here. When I go home, I do not feel completely Japanese. However, when I go to Japan, people try to get me to speak English so they can practice their English with me. I understand the two cultures and love them both. My wife Miho, who studied watercolor at Pennsylvania Academy of the Fine Arts and graduated there, has also a similar feeling to both cultures—even though the gallery and research systems in Japan are completely different from the States. It is important for scientists and artists to be creative and respect beauty and nature, which have no nationality except for practical considerations. For Miho the gallery system in Japan is completely different. For me research has no country, fact is fact in any language. She is still doing volunteer work at a class at the Philadelphia Museum of Art to teach art for blind people. In addition, many young Japanese come to us for help. We would like to continue these activities of arts and scientific research to contribute to the society of both countries, and through these activities make a bridge between two countries.